American shoppers care more now than ever before about the sourcing and story behind the foods they eat, and large food conglomerates are struggling to keep up with demand for more innovation, transparency and environmental stewardship. 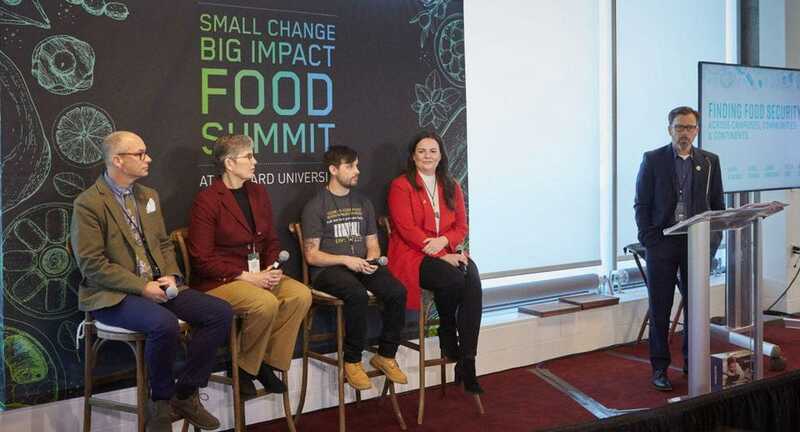 “We are an industry full of great marketing, but terrible communication,” admitted Geoff Freeman, CEO of the Grocery Manufacturers Association at the Small Change, Big Impact Food Summit. The two-day event was hosted by Hormel Foodsand Harvard University Dining Services on April 4 in Cambridge, Massachusetts. Summit attendees included foodservice managers of elementary schools, higher education and prisons, as well as representatives from natural food brands such as Justin’s and Vermont Creamery, culinary consultants, non-profit food access groups and government employees. 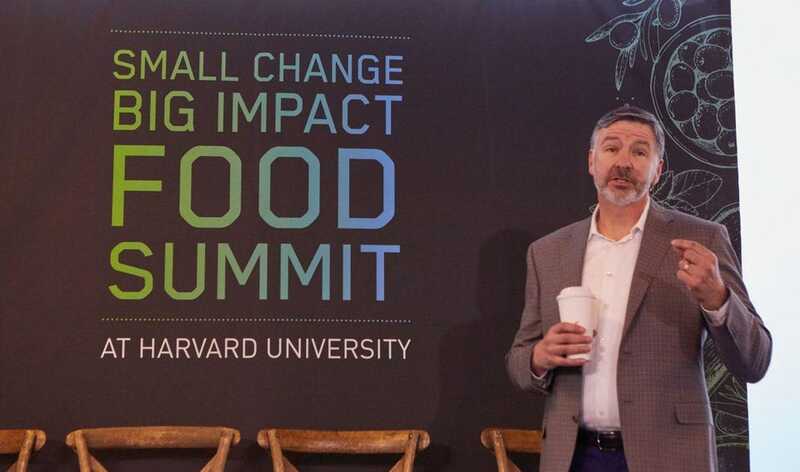 David Davidson, managing director of Harvard University Dining Services, worked with Hormel and Attention Span Media to bring the Summit to life, with a goal of giving attendees concrete action steps to take away from the day of conversation. “I know I learned a lot that, as my organization grows, I can implement,” he mentioned when discussing the possibility of growing the event into an annual occurrence. 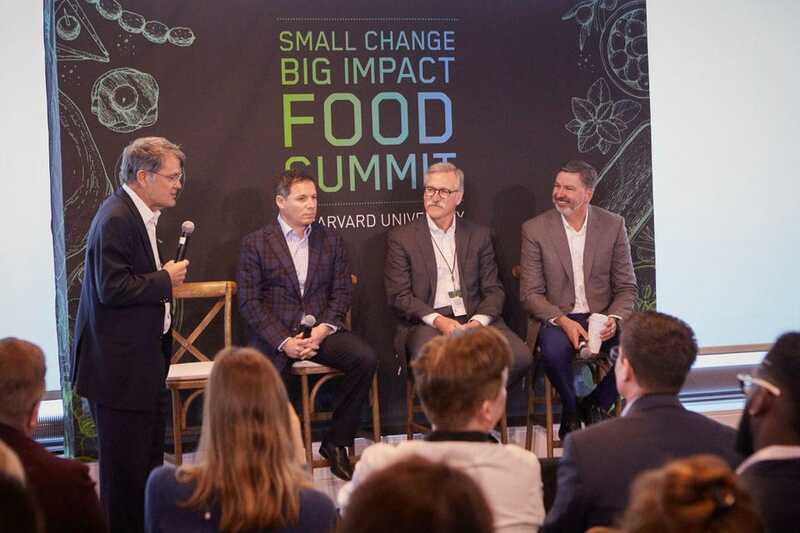 Jim Snee, chairman, CEO and president of Hormel Foods, hopes that the Food Impact Summit brought together people and companies working within the food space to meet consumer demand for responsible corporate citizenship. Panels included topics ranging from food security to agricultural innovation to food waste. “You can probably tell, I have a problem with the term Big Food, because the implication is that it’s bad. Boy, we are anything but bad,” he shared after giving the Summit’s keynote address. In his mind, large corporations simply have not been engaging in the evolving conversation around food with consumers the way they should be. “We don’t tell our story effectively, we’ve let other control the narrative…This is not just a big greedy organization looking to drive its bottom line, we’re looking to impact people lives in a positive way. We’ve got to be able to tell that story and change the narrative.” Snee highlighted storytelling while discussing Hormel’s acquisition of leading brands in the natural food space such as Applegate and Justin’s. He claims Hormel’s roots in a small midwestern town as part of the secret to their success in broadening their portfolio. Hormel may be losing the credibility they have earned with these acquisitions, however. Just days after the Summit, court documents were released in conjunction with a lawsuit by the Animal Legal Defense Fund. The Superior Court of the District of Columbia dismissed the ALDF suit that accused Hormel of misleading consumers with the use of the word “natural” on Hormel’s Natural Choice brand packaging and marketing campaigns. Internal documents revealed that there is no difference in farming practices between pigs used in SPAM and Natural Choice, and that they are often treated with antibiotics and not given access to the outdoors. The ALDF’s argument asserts that most consumers equate use of the term natural with no antibiotic or nitrate use, both of which are prevalent practices in the supply chain Hormel uses for both of these products.